Suma's first day with Action Dog! Welcome to the pack, Suma! She's a young whipper-snapper Golden-Doodle dog, and right out of the gate she did great on her first day with Action Dog! 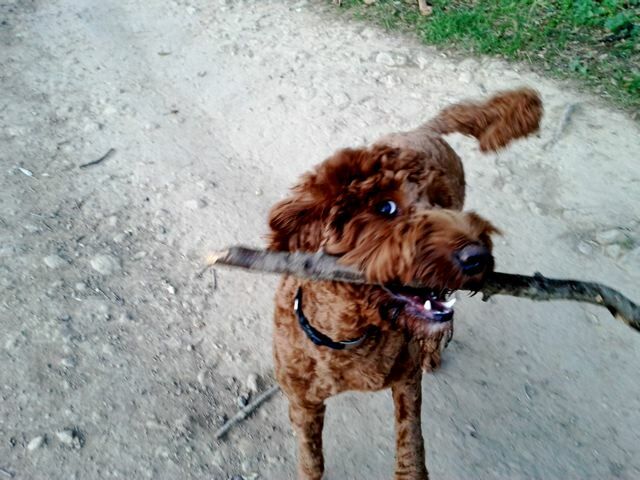 She lives near Sophie, the Labra-Doodle, and today we had a good refreshing dose of doodle madness. 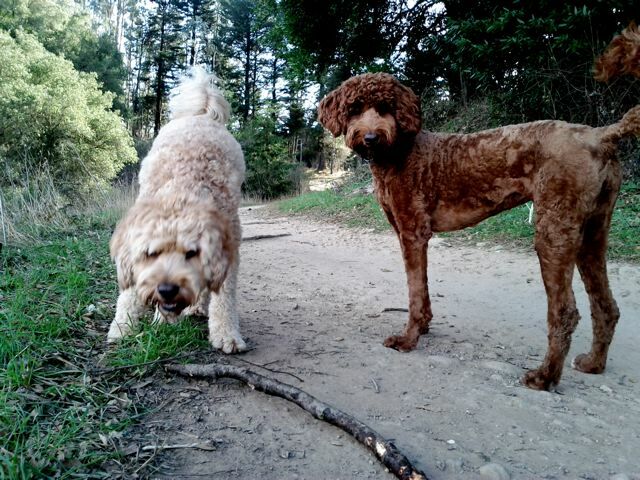 They match each other's energy really well on the trail - both love to run and trailblaze. We started at Skyline Gate in Redwood Regional Park and hiked up Westridge trail all the way past Moon Gate for a water break at a bench. It was a good long first hike for Suma and when we brought her back home the first thing she did was curl up on her bed.